Dinarobin is a fantastic choice for families and we would highly recommend the resort’s Family Suites which are spacious and comfortable. The Kids Club at Dinarobin is free and welcomes children aged 3 – 11 years. Qualified professionals provide fun, but also educational, indoor and outdoor activities to keep your little ones entertained and happy. Every day there is a set activities programme which you can dip in and out of, if you also want to spend some family time together during the day. Young guests can enjoy bicycle rides, small line fishing, waterskiing, sailing, glass bottom boat trips, tennis, golf or simply a spot of gaming on a PlayStation. 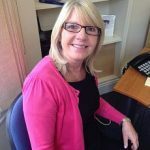 Babysitters are available on request and at a supplement (24-hours notice required). The Dinarobin is a short buggy ride from the 18-hole, Par 72, Paradis Golf Course. The course itself actually runs behind some of the suites of the hotel and along the coast below the base of the magnificent Le Morne Mountain. The immaculately maintained fairways are dotted with flashes of tropical colour from the bougainvilea, poinsettas and araucarias. Guests tee off close to the beach and play the fairways towards the mountain, with the last nine holes lying along the coastline and featuring five challenging water hazards. 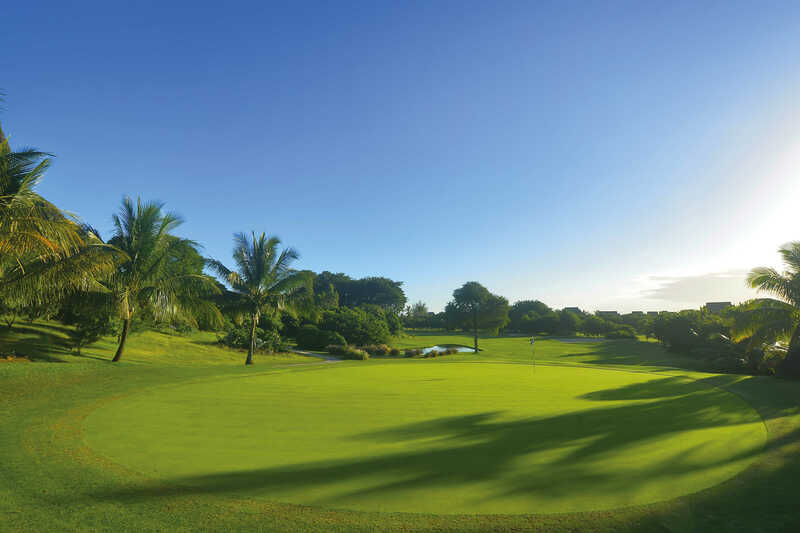 Guests at the resort also enjoy privileged access to Tamarina Golf Estate, Mont Choisy Le Golf and Avalaon Golf Estate. All four courses offer an excellent challenge to the low and high handicap golfer. 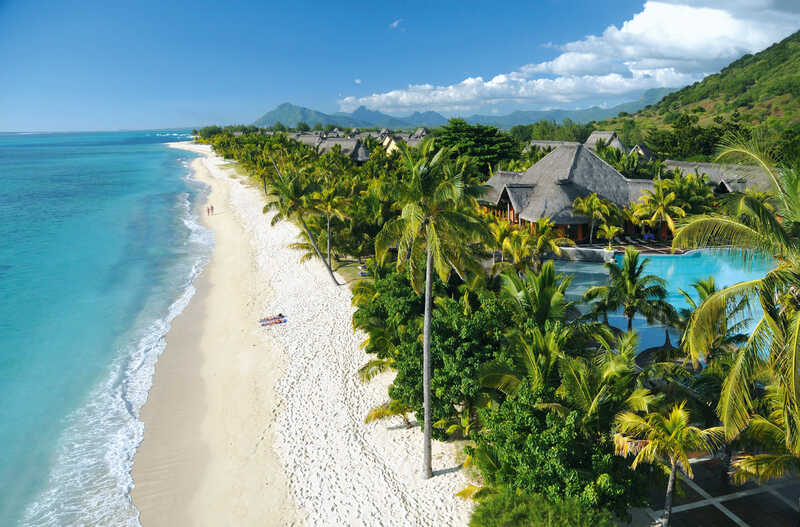 Gentle, inviting waters make Mauritius a perfect destination for water activities – waterskiing, windsurfing, sailing, glass bottom boat trips, snorkelling trips, kayaks and pedal boats (which take place in the sheltered lagoon by Paradis), are all free of charge for guests. 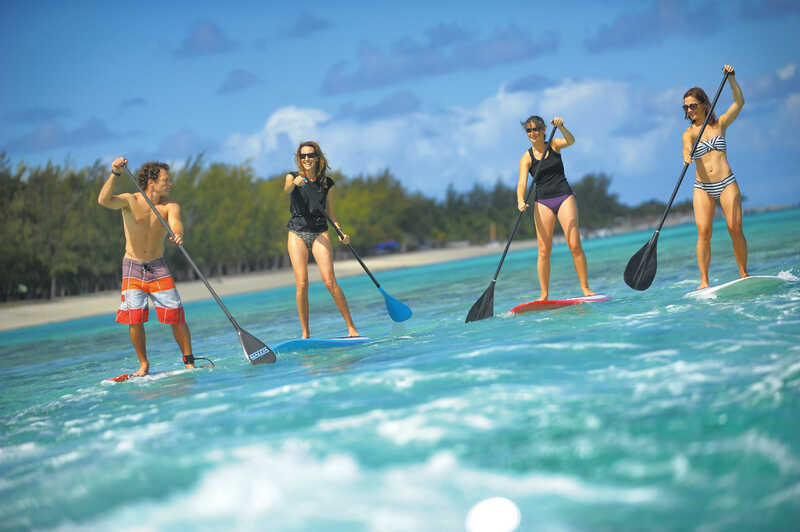 The ancient sport of paddle boarding which was born in Polynesia is now available at Dinarobin. It is open to boarders of all levels from the age of 10 and can be enjoyed in the turquoise lagoons. Kite surfing is also available and takes place at the nearby Le Morne Beach. Dinarobin shares its dive centre with Paradis. It’s a PADI-Diving Centre (based at Paradis) with a comprehensive diving programme. There are a number of decent dive sites within 20 minutes boat ride of the hotel. 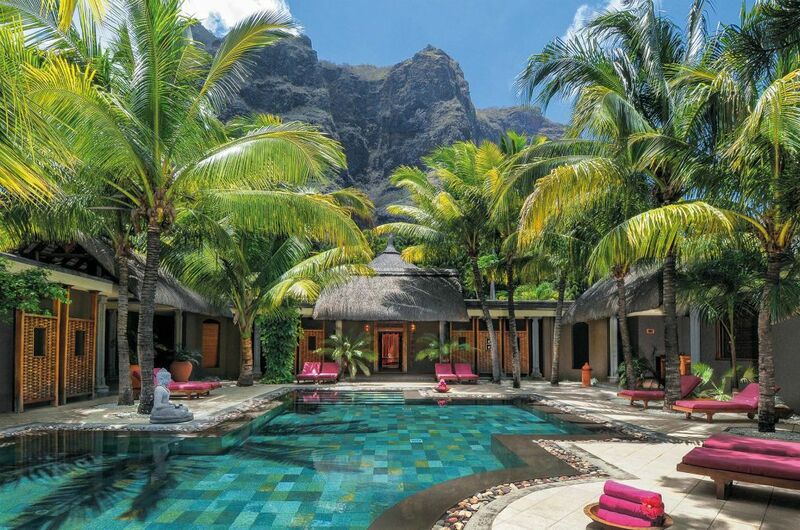 The Spa at Dinarobin is one of the finest on Mauritius and offers air conditioned cabins where you can relax and enjoy traditional treatments. The cabins centre around a large relaxation pool framed by lush tropical vegetationn. Guests can also choose to indulge in a massage in one of the rustic kiosks set right on the beach; forget all your worries and listen to the sound of water gently lapping in the background – absolute bliss!